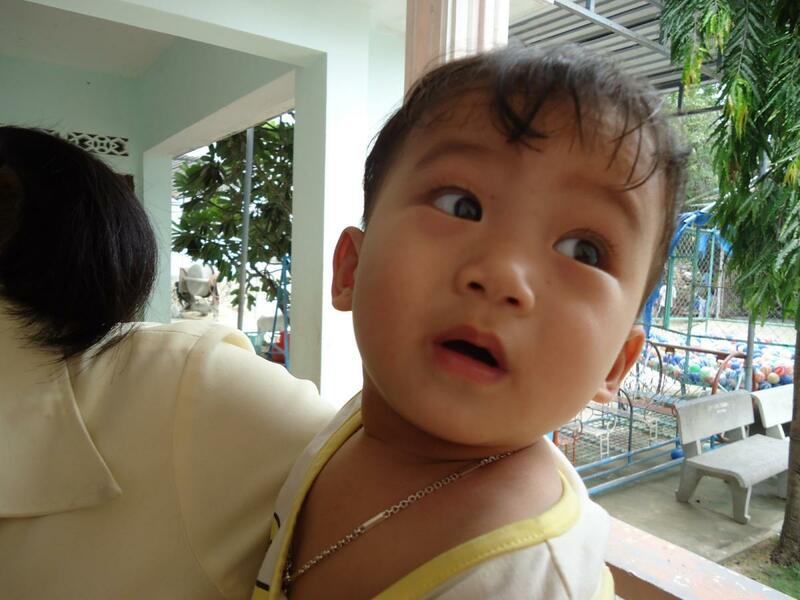 On Tuesday, September 20, 2011 we arranged a visit to the Mai Am Nhan Ai Orphanage. 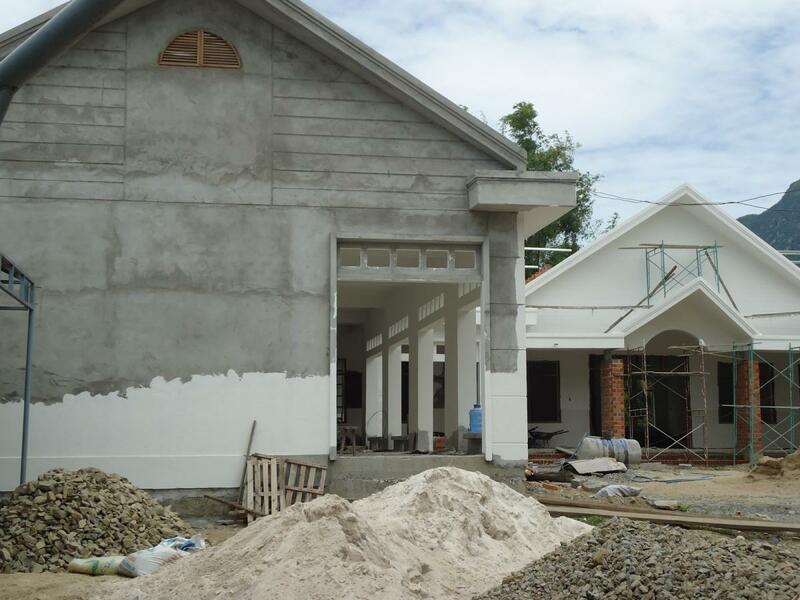 The orphanage is in the midst of a construction project that will expand the facilities and allow more spacious living quarters for the children. The situation had grown urgent as the number of children being cared for increased. 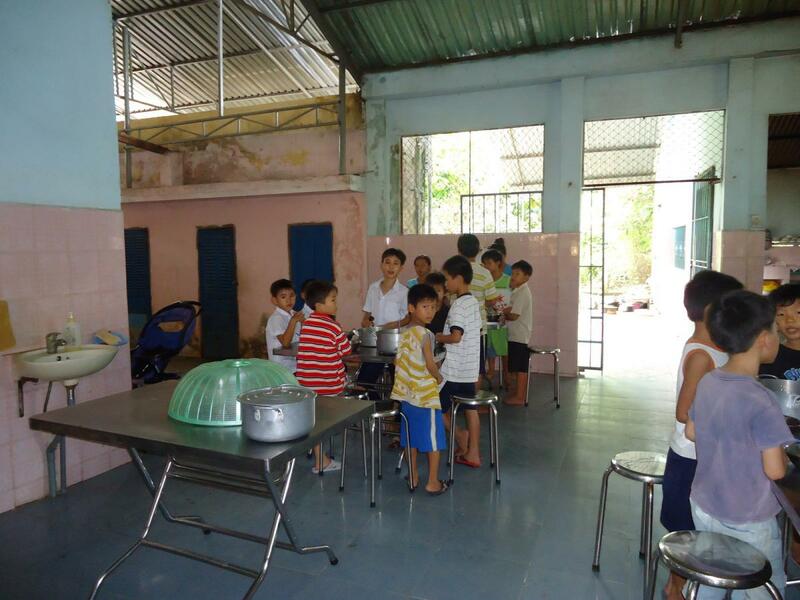 As most of the orphanage’s funds had been allocated to construction costs, Sister Bao Quyen told us that they have been struggling with certain foodstuff. When longtime donors the Boisson family heard of this, they immediately wished to help. We arranged a visit, and they brought two large boxes of baby formula and snacks for the kids. We thank them once again for their heartfelt generosity! 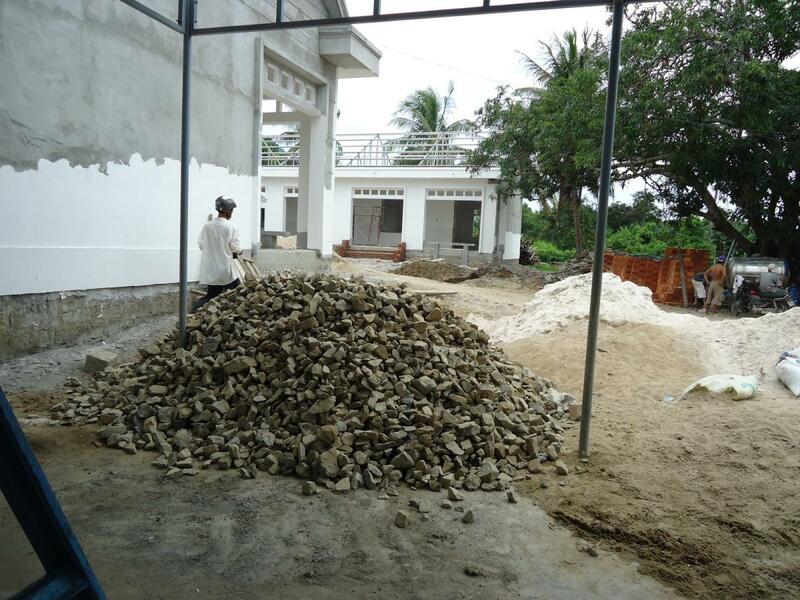 Read below for more information on the orphanage’s expansion project. 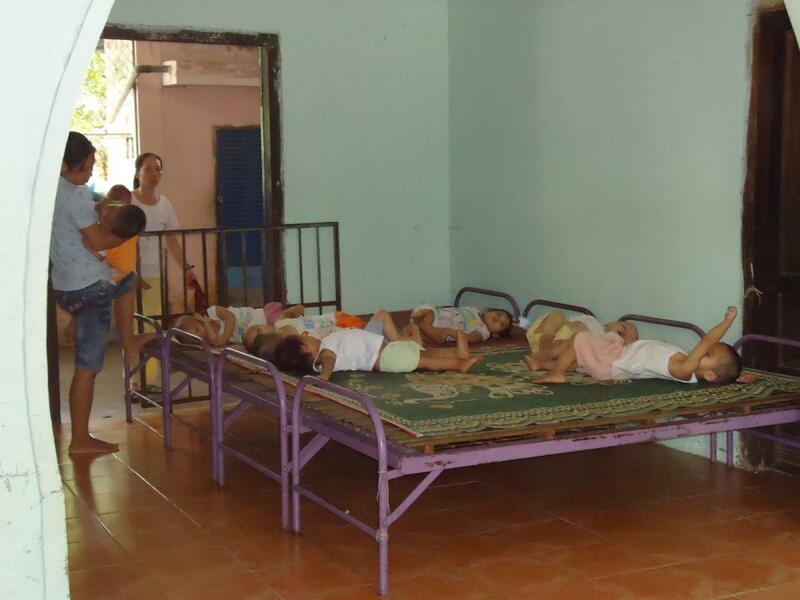 On a visit to the orphanage in 2009 we had a long talk with Sister Bao Quyen. The number of children being cared for had steadily increased, and the living quarters were no longer adequate. Most of the younger kids were sleeping two per bed, and the boy’s rooms were overcrowded. Health inspectors had insisted that the orphanage be improved to better care for the children. 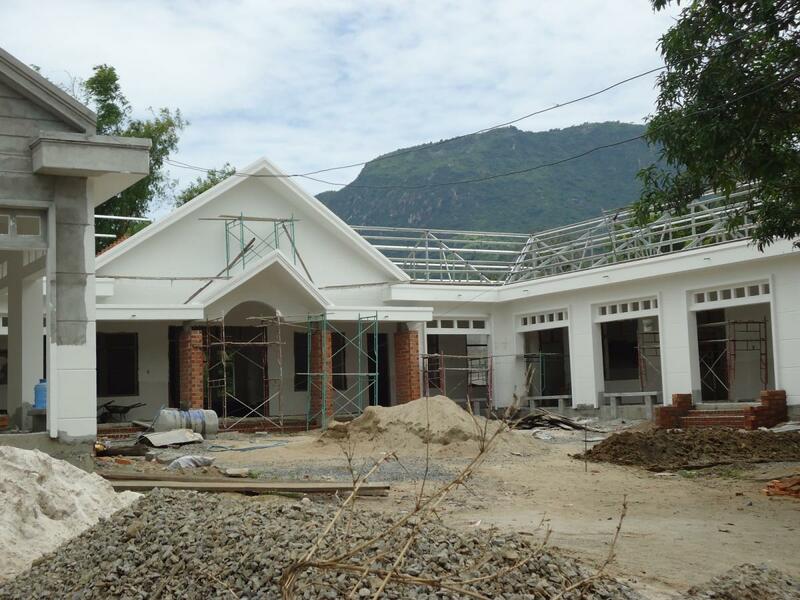 Sister Bao Quyen wished for nothing more than to immediately build new facilities, but a project of that nature required funding that she didn’t have at the time. 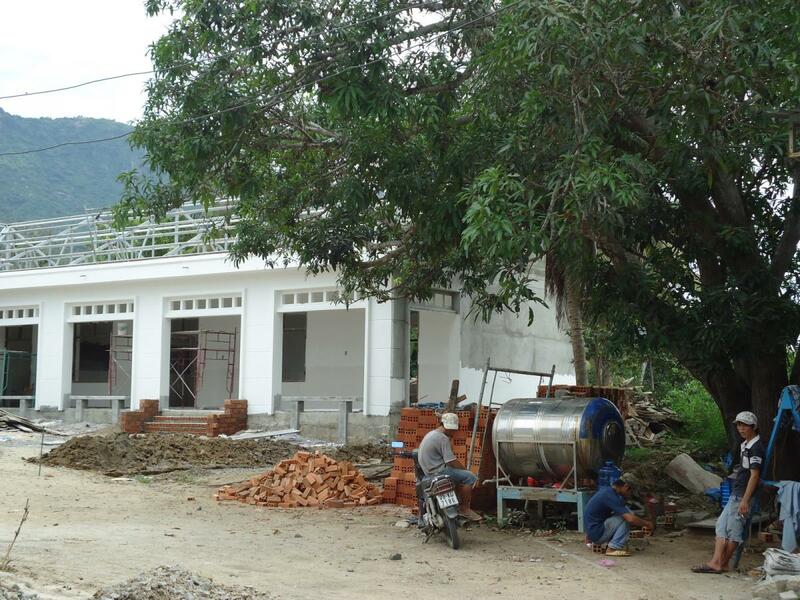 Over the past two years the nuns at Mai Am Nhan Ai have endeavored to save enough money to begin the project. A testament to their dedication to helping the orphans under their care, and to the amazing generosity of those who contributed! 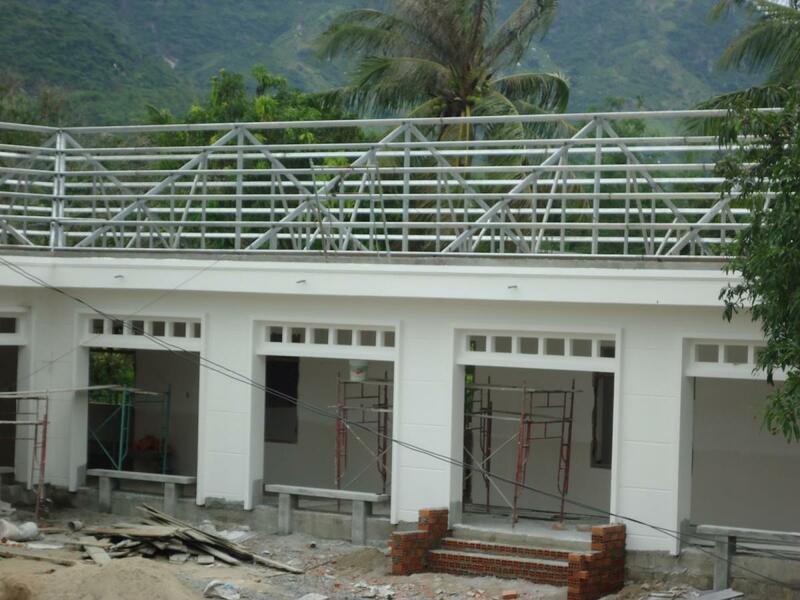 Completely on their own, they raised the funds and began construction in early 2011. At present, the main walls of the structures have been built, and they hope to be finished by early 2012. There is still so much that needs to be done, however. New bunk beds for the children need to be bought, as well as basic amenities such as desks, sinks, showers, and toilets. The nuns also said that so much as gone into construction that they are now struggling with monthly food costs. 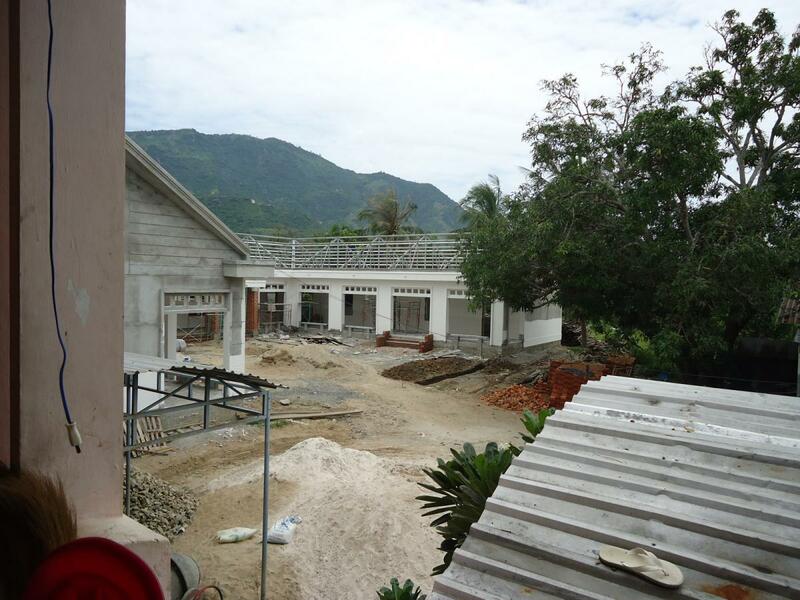 Any help at this point would go a very long way for the orphans at Mai Am Nhan Ai. To donate to this cause, click the Donate button at the bottom of the page. Be sure to specify how you wish your donation to be used (bunk beds, food, etc.). Here are pictures of the construction project from September 2011.